Arc System Works, the studio behind some of the most beloved 2D, anime-styled fighting games such as the Guilty Gear franchise and the newly added Dragonball FighterZ, released one of its flagship series back in 2008. Ten years later, BlazBlue has become a household name in the fighting game community, with appearances in almost all major fighting game tournaments and a large fanbase for support. Since the launch of the first game, Calamity Trigger, the series has gone on to spawn a myriad of sequels, spin-offs, and updated versions of the core entry titles. For its tenth anniversary celebration, as reported by Gematsu, creator Toshimichi Mori took to the website to give hints for a new title in the works. 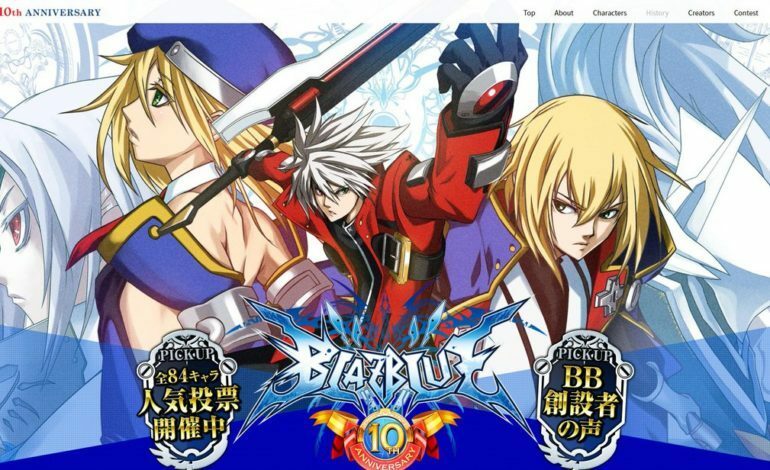 The celebration started with an updated website for BlazBlue, a tenth anniversary facelift along with updated content such as a survey and the results of a cosplay contest. The site also gives a rundown of the game’s history via a timeline infographic. Capping the festivities with a bang, Arc System Works also hosted a livestream event that commemorated the franchise’s colorful past, with invited guests like voice actor Mitsuhiro Ichiki as well as events such as an exhibition match of the first game. To top it all off, Toshimichi Mori’s accompanying message thanked the fans for their years of support, and specifically pointed out two projects: the mobile game Blazblue: Alternative Dark War and a new title that he purposefully redacted. There’s no other info regarding this new project, just the supposed length of its title. However, given the massive success of the series, there’s no doubt that that fighting game enthusiasts will wait in anticipation. The BlazBlue games have, at this point, made their way to all of the major platforms; this includes even the Nintendo Switch, PC, and mobile. As such, those that want a taste of the esteemed fighting game have a large number of options to choose from.